Insimbi Alloy Supplies specialise in the supply of industrial consumables to a wide range of markets. In other words, we purchase ferrous and non-ferrous metals and refractory products from a wide variety of producers. We then package, store, finance and, in some cases add value to these products before selling them to you. We also provide technical support and mechanical services to many industries as a value-add to clients. We do not manufacture steel, stainless steel, cement, paper, refractories or castings, but the raw materials that we provide will help our clients produce these products. Our client markets include the construction, infrastructure, automotive, cement and mining industries to name but a few. We have facilities in Gauteng, Johannesburg, Atlantis, KwaZulu-Natal and the Western Cape. Insimbi’s Steel Division supplies ferrous alloys, base metals and general additives required in the steel making process. We are strategically located in Gauteng, Western Cape and KwaZulu-Natal to ensure accessibility to our regional and export customers. Our locations give us the advantage of delivering throughout Southern Africa and Sub-Saharan African in the shortest delivery times possible. We allow flexible packaging arrangements for certain items. Our experienced specialist team provides technical back up services based on years of experience and expertise in the steel consumables industry. Insimbi’s Foundry Division supplies a wide range of top-quality foundry consumables to the foundry industry. We regularly supply to iron, steel, stainless steel and investment foundries. Materials are sourced from the most trustworthy vendors in the industry and manufactured using the finest materials. Our range caters to the requirements of iron, steel and stainless steel producers, amongst others. Insimbi’s Exports division exists to expand and strengthen the supply of our products into the global market. Our product exports have helped us grow our influence in manufacturing industries in Africa, Asia, Australia, South America, Europe, the Middle East, China and the Far Eastern markets. Our team is geared to support our export customers in any way we can. We offer an in-house export logistics function to support customer air, land and sea freight shipments. Besides English, the export team has members proficient in languages such as French and Portuguese, adding further strength to our capabilities in the international market. Insimbi’s Refractory Division offers a full line of standard, high-quality refractory consumables to all refractory industries (with the exception of the Rotary Kiln industry which is catered for by our specialist Rotary Kiln Division). Our extensive product list includes both dense and insulating refractory consumables, all of which are known for their exceptional quality. Apart from consumables, this division offers technical expertise, advice and services required by our refractory clients. This includes our in-house refractory design service (including CAD). Our design services are enhanced by the ongoing technical support from various international partners. Our current clients include smelters, boilers, foundries, furnace builders and installers, refractory producers, ferrous, non-ferrous and associated industries to name a few. Insimbi’s Mechanical Division is able to provide the cement and related industries with all their mechanical needs through the expert use and application of local and imported goods and services. We are able to produce pin and brush chains, as well as sprockets according to your process specification. In addition, we supply lubrication bars, leaf plates, kiln hotspot coolers, grate coolers and a range of other mechanical and measurement tools. Our Rotary Kiln Division provides all the refractory materials you might need to ensure the longevity and efficiency of your rotary kilns. Our materials are consistently used in a wide range of kilns with our largest client base being the cement industry. We offer an extensive range of bricking solutions including alumina and basic bricks as well as shapes and design for specialised applications like bull nose, cooler roof and cyclone bricks. This division works very closely with our Refractory Division but is strategically ring-fenced to meet the unique needs of rotary kiln clients. As a result, our materials and services come with expert advice based on years of professional experience in the local and international rotary markets. Our speciality also allows us to focus on continuous development of our offerings. By using the Insimbi Rotary Kiln Division, you have access to an extensive range of refractory monolithics, high-pressure gunning equipment, state of the art refractory engineering and lining design as well as on-site installation supervision by trained experts. We also provide your staff with installation training where required. 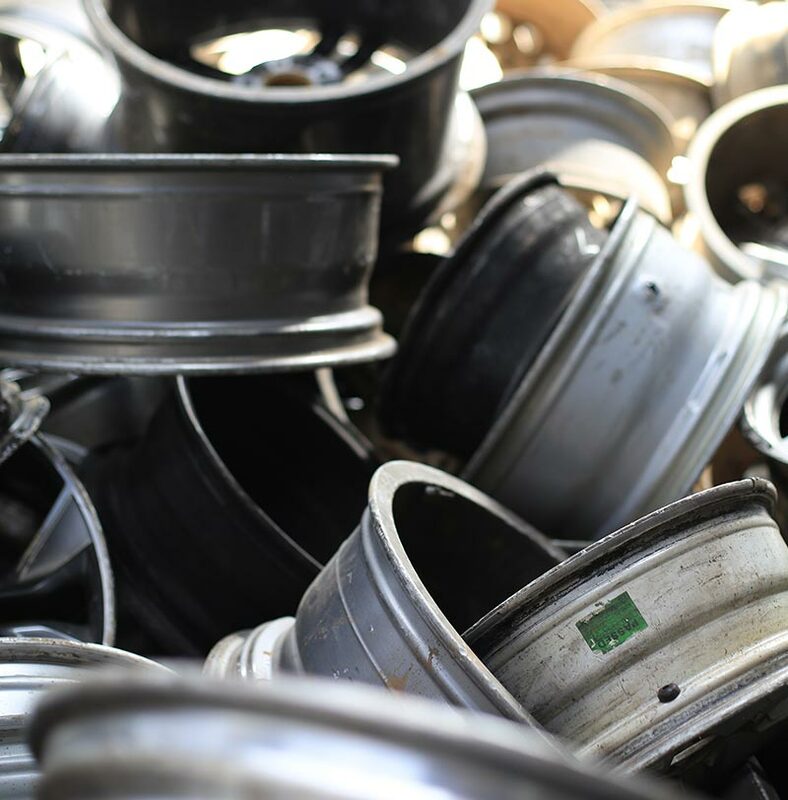 Non-ferrous metals such as aluminium, copper, and zinc will always play a vital role in the manufacturing industry since they are irreplaceable for many products in the automotive, mechanical engineering, and construction sectors. It is for this reason that we have a division dedicated to supplying a comprehensive range of non-ferrous consumables and hardware to local and global markets. Our clients consist mainly of primary and secondary aluminium smelters, copper smelters, non-ferrous foundries and the electroplating and galvanising industries. Insimbi ‘s Fibres division supplies steel and polypropylene fibres used to reinforce concrete. Reinforced concrete has a higher tensile strength and higher resistance to cracking and is, therefore, used in a wide variety of applications such as tunnelling, heavy duty roads, airport runways, dam walls, and well-trafficked floors. In South Africa, reinforced concrete is also commonly used in the mining industry. Our range of fibres is supplied according to the length and size that you need for each order. The Insimbi Powder Coating Division is a trusted supplier of powder coating for all types of metal substrates. We carry a wide range of interior and exterior powders, all of which are made from premium raw materials to give a cost effective yet high-quality coating in a wide range of colours and finishes. Whilst we stock standard colours, we are also able to offer specialised powders manufactured to your specifications. Our standard packaging is 20kg per box. Our powder coatings are available from Insimbi’s Johannesburg, Cape Town and Durban locations and data sheets and sample panels can be provided on request. Insimbi’s Speciality Alloy Supplies Division is a highly niched part of our group of companies. We supply Ferro alloy powders, optical consumables, carbon, iron powders, tin and copper to a diverse spectrum of industries. These industries include the welding industry, optical laboratories and the glass, bevel and mirror industries, amongst others. Our team is home to a number of qualified metallurgists who are able to provide invaluable technical insights into these speciality products and markets. Our skillset is further boosted by a vast collection of Insimbi intellectual property, international partner support and our agency agreements with respected agencies. The Textiles Division specialises in the manufacturing, sales and marketing of gaskets, expansion joints, seals, high-temperature insulation materials and engineered fabrics. These materials can be used for both static and dynamic applications. Materials especially developed for roller applications in the stainless steel industry are operating successfully worldwide at temperatures up to 1250 °C.